A mouth-watering weekend in the top flight concludes at the Etihad where champions City host rivals United in the 177th Manchester derby, live on Sky Sports. Unbeaten Chelsea kick-off the Renault Super Sunday schedule against Everton at Stamford Bridge, while Cardiff and Brighton get the weekend underway at lunchtime on Saturday. United have big problems at centre back. If United start like they did against Bournemouth, then the game will be over inside 15 minutes. It wouldn't surprise me if City win this 5-0, but this is Jose Mourinho, who always turns up in the big games. He'll have a plan to keep United in the game. City will be nervous despite United being the bigger club. The pressure is on City as they are expected to win. I think they will. 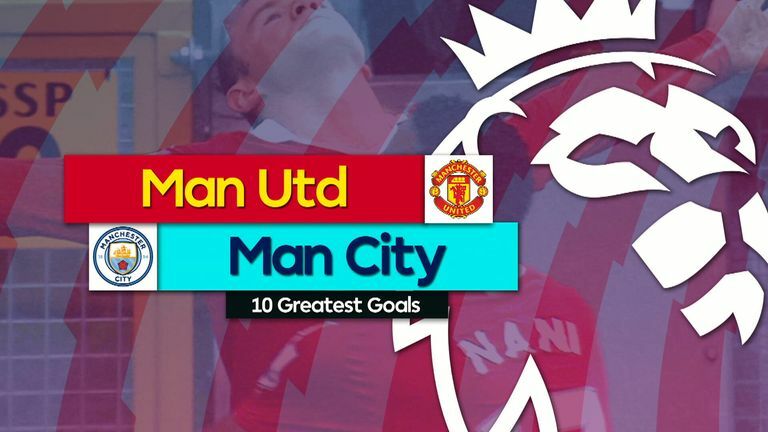 Watch our selection of the best 10 Manchester derby goals. Chelsea put out a strong team at BATE Borisov, perhaps it was too strong. I understand Eden Hazard needs the minutes but surely you'd rather him have them against Everton rather than travelling all the way to Belarus. Chelsea have a decent squad and will be there or thereabouts this season, but they still need a proper goalscorer. You only need to look at Alvaro Morata's late chance against Palace. Yes, the game was won, but Ian Wright, Alan Shearer, Robbie Fowler, Michael Owen, Thierry Henry, Harry Kane and the like would have sealed their hat-trick instead of trying to chip the goalkeeper, got the ball signed by everyone and then gone home! Everton have done well, especially with last week's big result against Brighton, but Stamford Bridge will be too big a test for the Toffees. Cardiff keep getting these kind of games, don't they? Fixtures against the so-called lesser teams which, at the moment, they have not been winning. They need to start getting victories before a run of games against the top teams comes around. Brighton have done really well under Chris Hughton and, even at this early stage, they look on course to stay in the Premier League. That is all you can ask for from them as they steadily consolidate themselves in the top flight. I've backed Cardiff in recent weeks, I don't know why, but I'm going to back them again to just edge this one. What a result that was for Huddersfield on Monday Night Football. It wasn't the greatest spectacle but David Wagner would not have cared one bit. 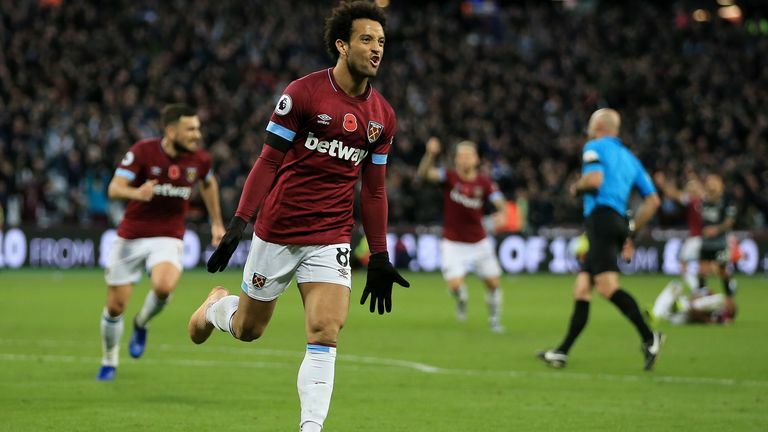 I watched West Ham demolish Burnley last week - yes Burnley got in the game a few times but they thoroughly deserved to win the match. On that display, it's clear West Ham are turning the corner. They will be too strong for Huddersfield. Highlights of Huddersfield's win against Fulham in the Premier League. I cannot see anything but a Leicester win here, for what will be the first home game since the tragedy a fortnight ago. Leicester's players were great at Cardiff, you could see the togetherness - Kasper Schmeichel ran the length of the pitch to celebrate Demarai Gray's winner. It meant a lot. Burnley are struggling at the moment and have let in 13 goals in the last three games - it could have been more at West Ham. That's not Burnley, a side that were always in the game last season, win or lose. Burnley don't look hungry at the moment, I may be wrong, but this isn't the team I know. Highlights from West Ham's win over Burnley in the Premier League. I'm covering this game on Soccer Saturday. It should be a good game after Newcastle's great result last week. I fancied Watford but they rode their luck and managed to get the result. Newcastle fans will be pleased to hear that I'm going for Bournemouth here. I went for Watford last week and they won, they'll be hoping for the same this week. There's been talk of Callum Wilson going to Chelsea this week and, after earning his first England call, he'll be buzzing, as will his team-mates who are scoring readily. What's crazy is that despite going against them, Newcastle and Huddersfield could both get back-to-back wins. That would drag so many teams back into the relegation battle. 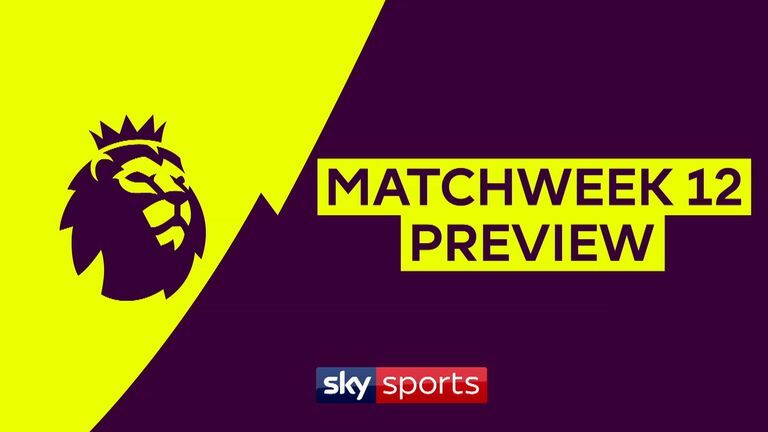 A preview of this weekend's Premier League games, including the Manchester derby, Liverpool vs Fulham and Chelsea vs Everton. Southampton have won just one home Premier League game since November 2017 - and that came back in April. With that in mind I'm going to go for Watford. They are a funny team, I thought they were certainties to beat Newcastle, they lost the game, I backed them to beat Bournemouth and they got turned over. Watford have been unpredictable but I can't back a team with one home win in a year. The pressure on Mark Hughes is mounting. Palace weren't bad against Chelsea last week, their only problem was that they scored a goal! As soon as they scored Chelsea livened up and took them to town. There's a saying which says little clubs shouldn't wind the big clubs up, and that was the case at Stamford Bridge. Spurs are not firing on all cylinders at the moment, something you need to be doing ahead of the trip to Selhurst Park. This is going to be a tough game, I cannot separate the sides. 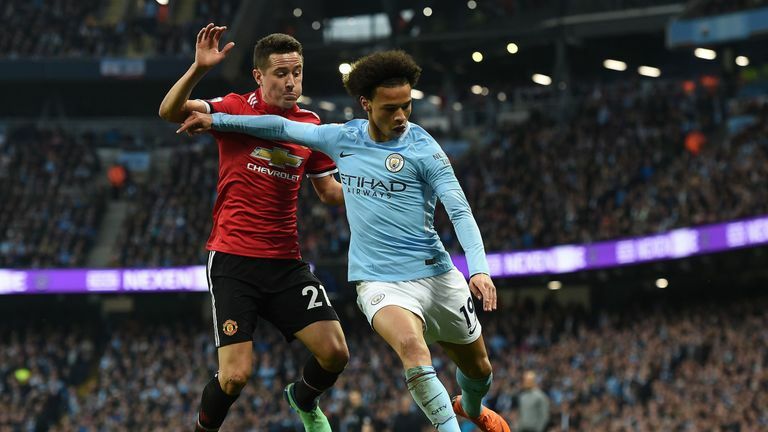 We take a detailed look at the essential stats around the Manchester derby. If there was a round of Champions League games to follow this match Liverpool may have rested some players, but with this being the final game before the international break, they could run amok. Fulham are caught between the devil and the deep blue sea. They started the season scoring and letting goals in for fun, then they shut up shop at the back and never looked like scoring. They've got to get that balance right sooner rather than later, but you couldn't have asked for a worse game than a trip to Anfield. This is the time where managers under pressure worry about the clubs using the two-week period to get someone else in. Slavisa Jokanovic will be worried, especially after losing at Huddersfield. It's game like those that are Fulham's bread and butter because they are not expected to beat sides in the top six. They are in trouble. 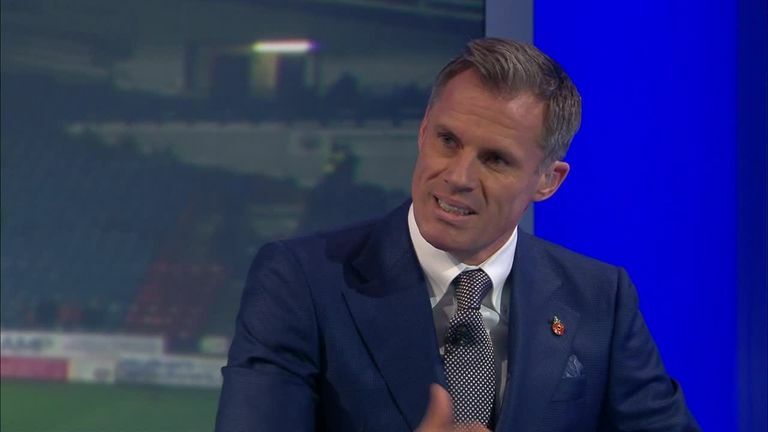 Jamie Carragher told Monday Night Football about the defensive mistakes that led to the goals in Arsenal's 1-1 draw with Liverpool. What a game this promises to be. Wolves made a game of things against Spurs but only once the game was over, the shackles came off and they played. They have started to concede more which is worrying from a Wolves perspective - they started the season not scoring a lot but they didn't concede either. Changing of the guard at City? PL questions: Sterling, Barkley to shine? Now it's looking like Wolves have got to score two goals to win a football match whereas it was one before. That's a big ask, especially when you've got to go to an unbeaten Arsenal side. It's going to be entertaining, but not an afternoon to remember for Wolves.